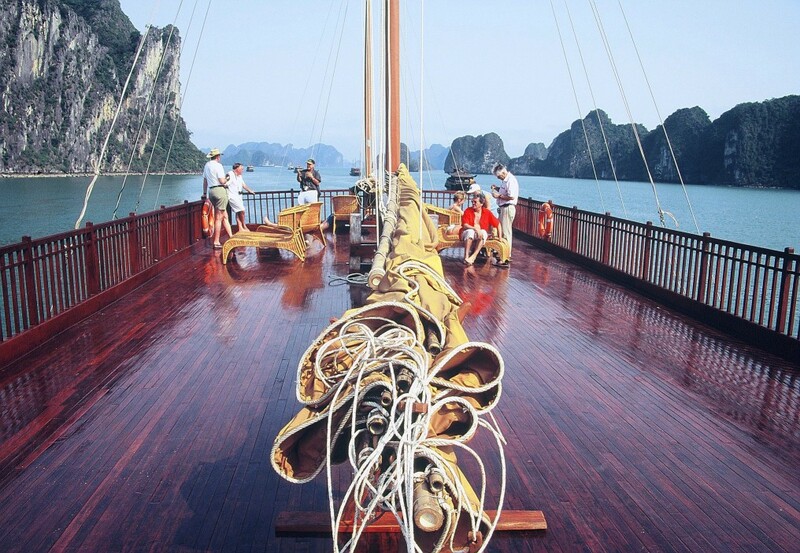 Measuring 38 meters (125 feet) long and 8 meters (23 feet) wide, our custom-built wooden junk features three decks, all outfitted with elegant Asian inspired decor. Guests are welcome to make use of our binoculars, snorkeling equipment, and top-of-the-line Canadian made Seaward kayaks. 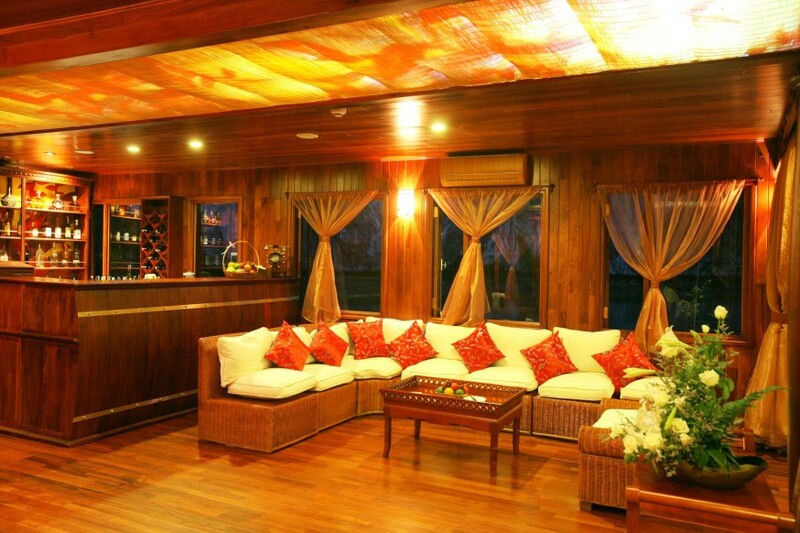 The lower deck is devoted to Passenger Cabins, with sleeping space for 20 people. 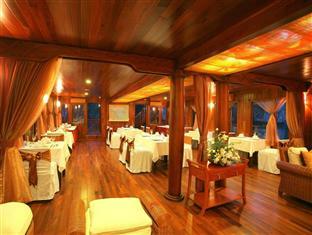 The Reception, Restaurant, Ginger Bar, Gift Shop and Library are all located on the main deck. 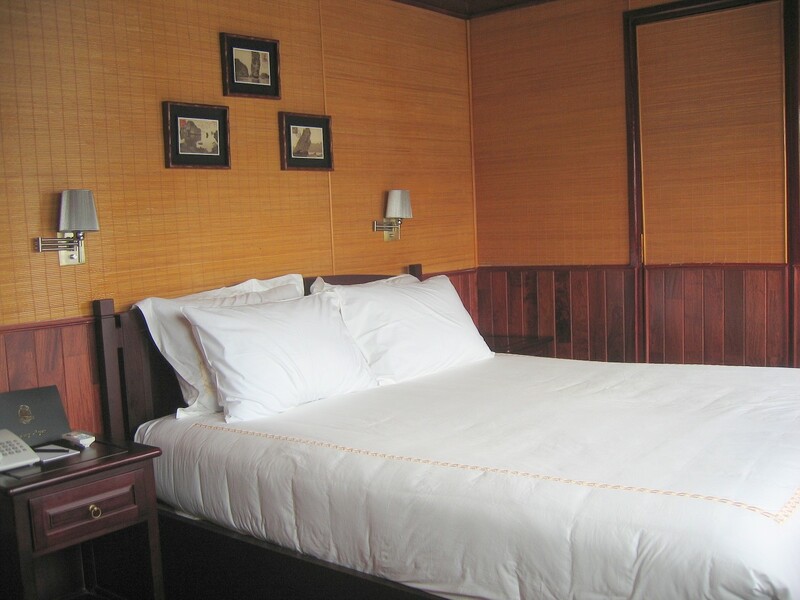 02 Ginger Deluxe rooms, 16 sqm with double queen size bed and 03 panoramic windows. The natural marble bathroom is together with deluxe amenities. 08 Ginger Rooms, 14 sqm with 02 panoramic windows. The natural marble bathroom is together with deluxe amenities. Connecting rooms are available for family! Located in the Restaurant, this cozy bar features silk chairs, embroidered décor. A wide variety of wines and cocktails is available. 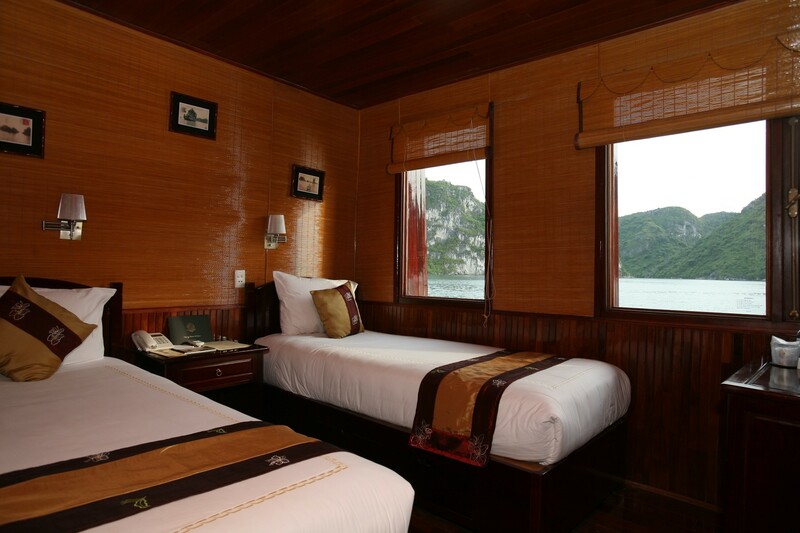 Infused with the scents of lemongrass and fresh herbs, the bay view massage room provides the ultimate escape, allowing guests to enjoy a traditional Vietnamese massage in the midst of the bay’s beauty.